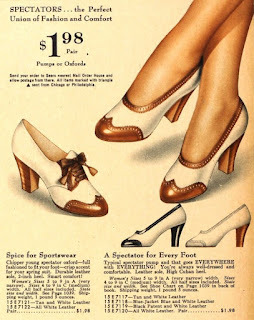 A Really Really Big Shoe Sale - No Really! I have a gift for you all. 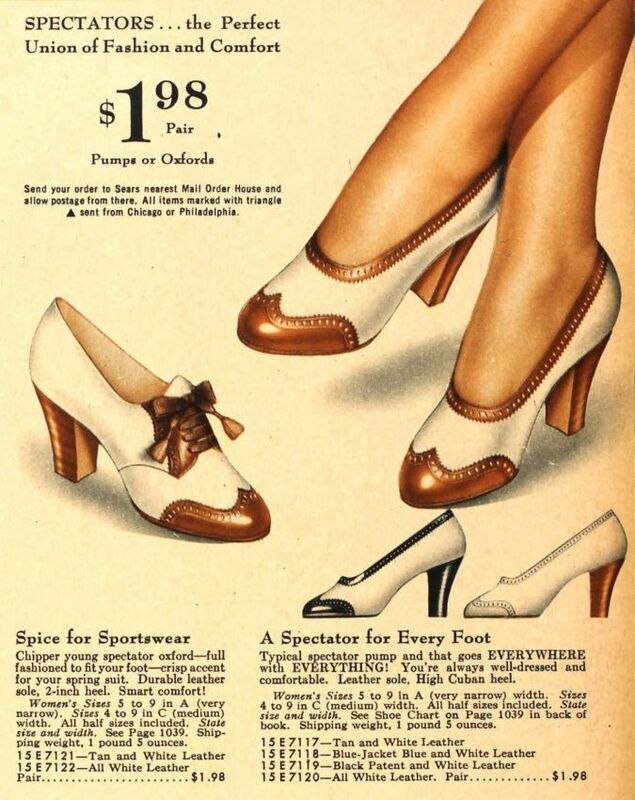 It's the gift of shoes. We're having a really....REALLY big sale. Like a huge sale. 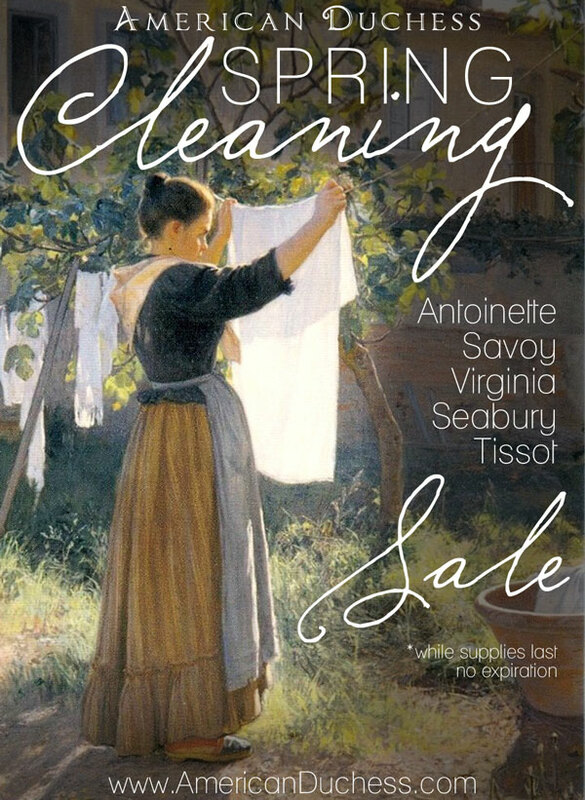 An enormous sale of lots of things for tremendous discounts! Why? Simply to clear out the old to make room for the new. 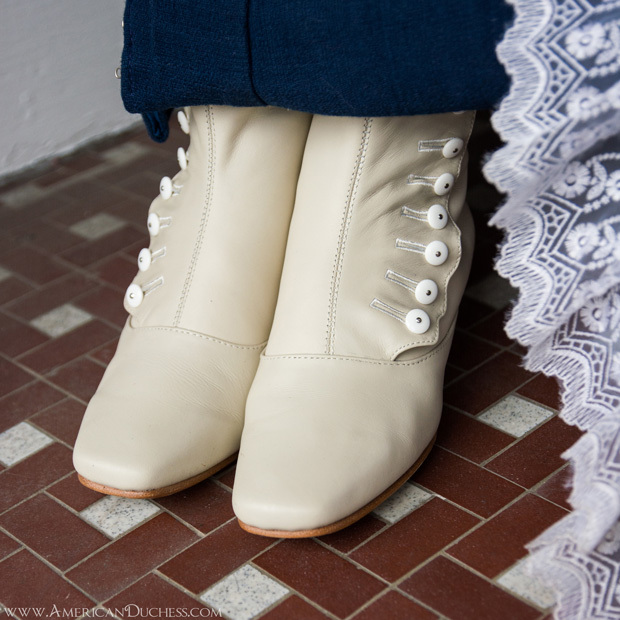 I've been working on new designs: in the coming year you can expect an expansion of our Civil War footwear, some new Victorian button boot options, new Edwardian heels, and a more regular offering of glamorous "Exclusives." Which to choose? Click here to shop! All this 'new' means we need to clear up space, so we're clearing some of our older styles for over 50% off. This is completely your chance - Antoinettes, Seabury, Savoy, Tissot, and Virginia are marked down significantly, most below cost, lower than we've ever offered any of our footwear. This sale has no expiration. It will be open until the very last pair is carried out of my garage by our faithful and patient postman. That being said, these prices have created a bit of a frenzy, and stuff is selling out quickly. Don't wait! 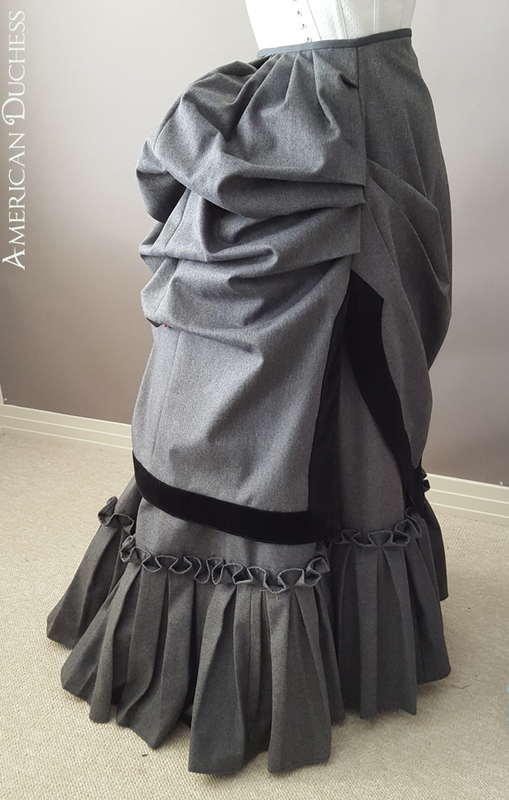 I've been slow but steady on the progress of this grey wool and black velvet mid-1880s outfit. It's been about a month of weekends working on it, but I'm proud to say that I'm just a few bits away from completion. 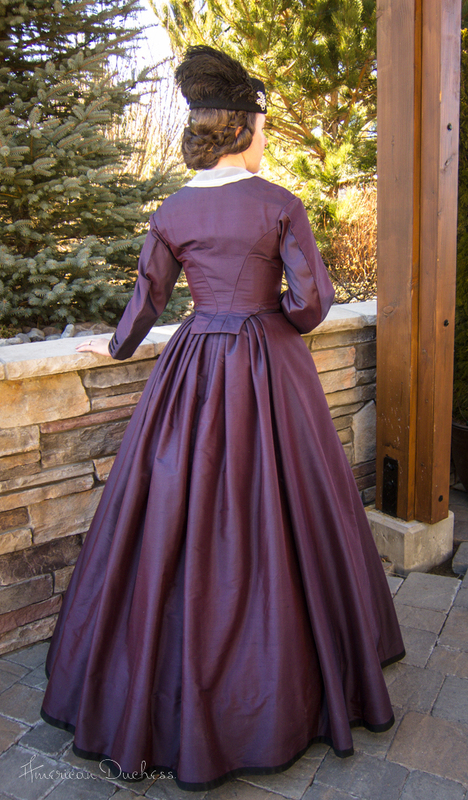 In the last post on this project, I had made the underskirt and begun patterning the bodice. Since then I've gone on quite the journey of apportioning rulers, sprung bones, mad fitting, and sleeve boss-fights. 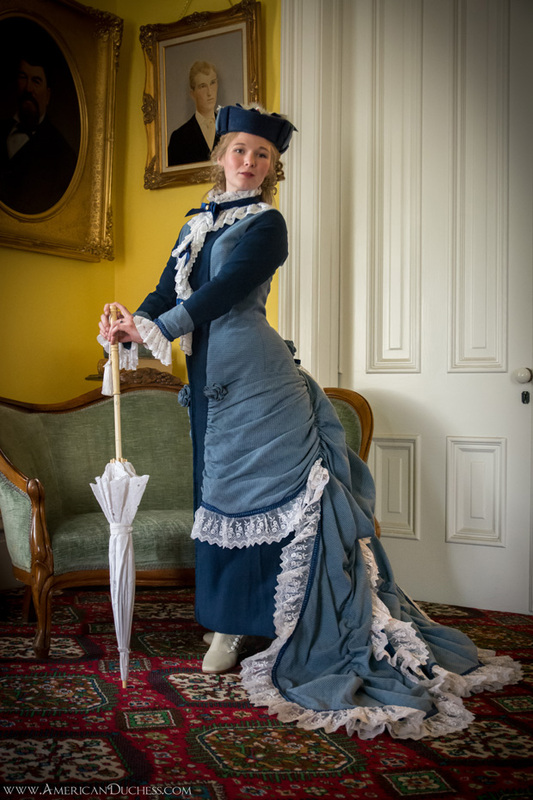 Before I cut the bodice, I made the apron, or overskirt. 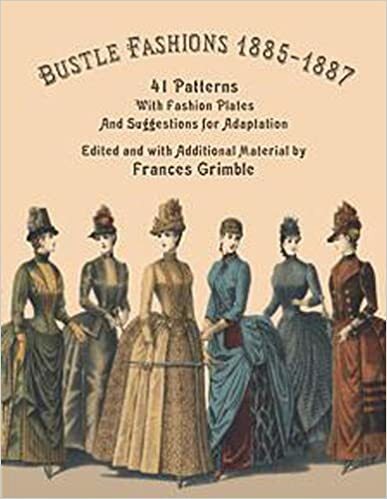 I turned to Bustle Fashions 1885-1887 by Frances Grimble for ideas and pattern layouts. 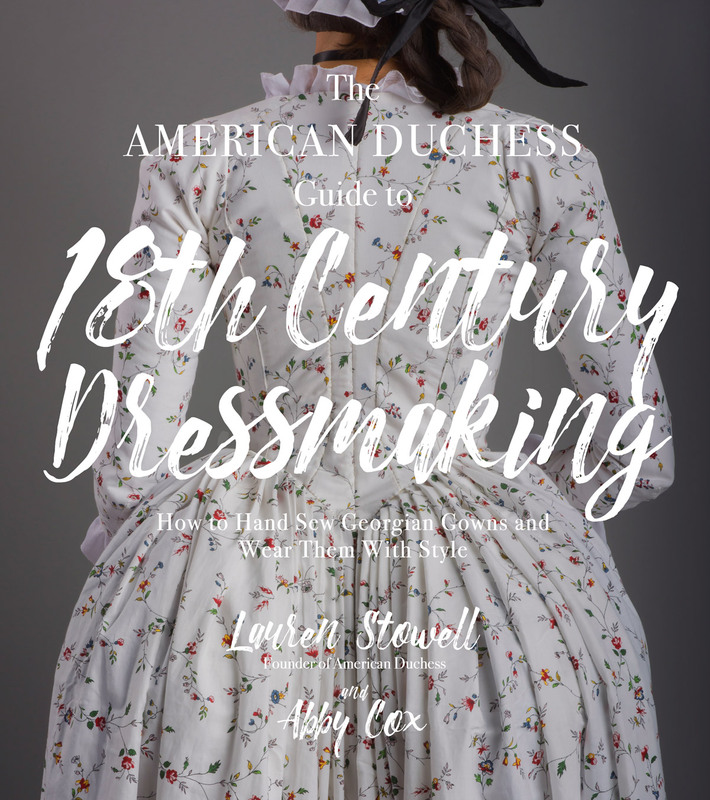 This book is a reprint of The National Garment Cutter and Voice of Fashion publications, 1885-1887. It's a *fantastic* book full of primary source material for ideas, pattern layouts, and most importantly, the apportioning rulers. For those of you not familiar with apportioning rulers, they are proprietary measurement scales that came with different pattern books. 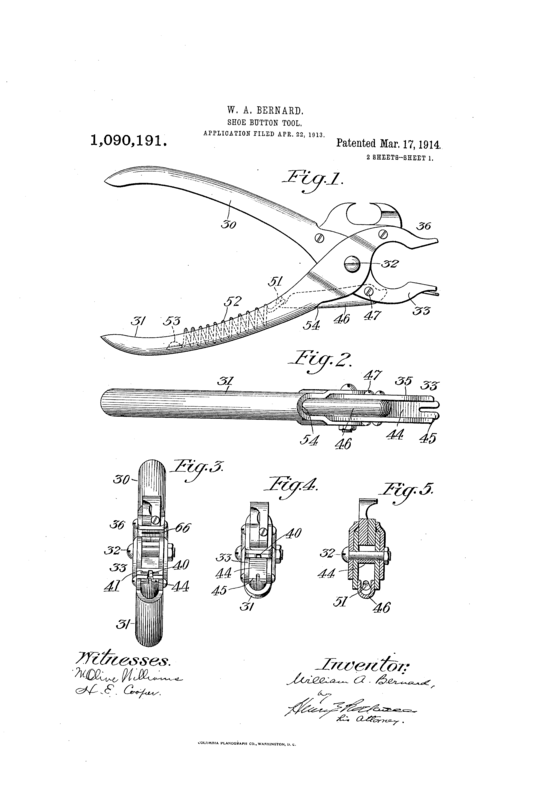 That is, The National Garment Cutter had its own set of rulers for use with its own patterns. To easily explain apportioning rulers, imagine a ruler where the "inch" isn't a true inch, but slightly smaller or slightly larger based on your measurement. 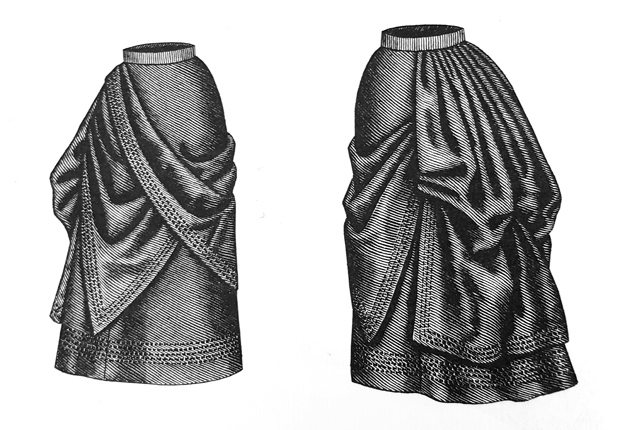 The patterns in these drafting and cutting books call for the use of one of the special rulers according to your bust or your waist measurement. In drafting the apron from page 93, I used the special ruler included in the back of the book for my 27.5" corseted waist. The units of measurement are ever so slightly smaller than a true inch. 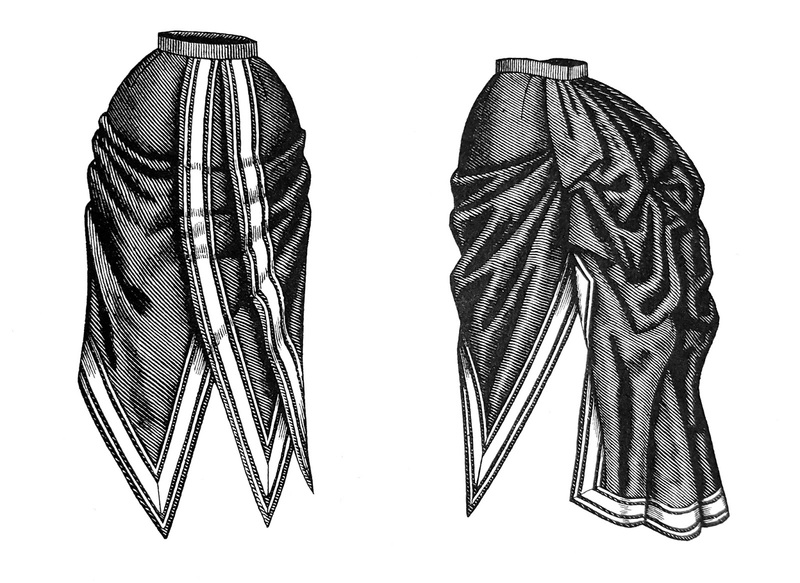 The pattern for the front pieces of the apron/overskirt. This is what a pattern using apportioning rulers looks like. Seems confusing until you know the very simple method to draft this out. It's magic. No really, there is *no math involved here*. Looking at the pattern, it seems like a huge mess of confusing numbers, but if you know the system, it's so freaking easy. 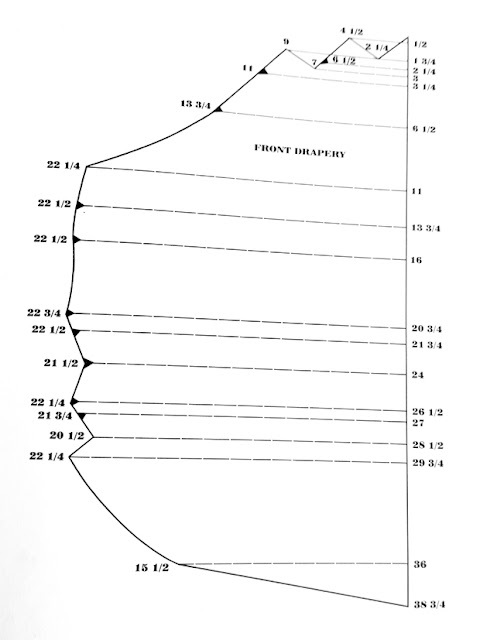 First, you measure down vertically what the number says - so on this pattern you start by measuring down 1/2", then 1.75", then 2.25" and so on - then at those marks you measured perpendicularly across - at that first 1/2" mark, you measure across 4.5"; at the 1.75" mark, you measure across both 2.25" and 9" and make the marks. Then you "connect the dots" in the general shape of the pattern piece. Remember, since the ruler you're using is not a true inch, the pattern, in theory, will come out to fit your waist precisely. The second illustration shows a variation from a different publication. This also came with a description of how to make it, sorta-kinda. I used both illustrations and descriptions when fussing with mine. 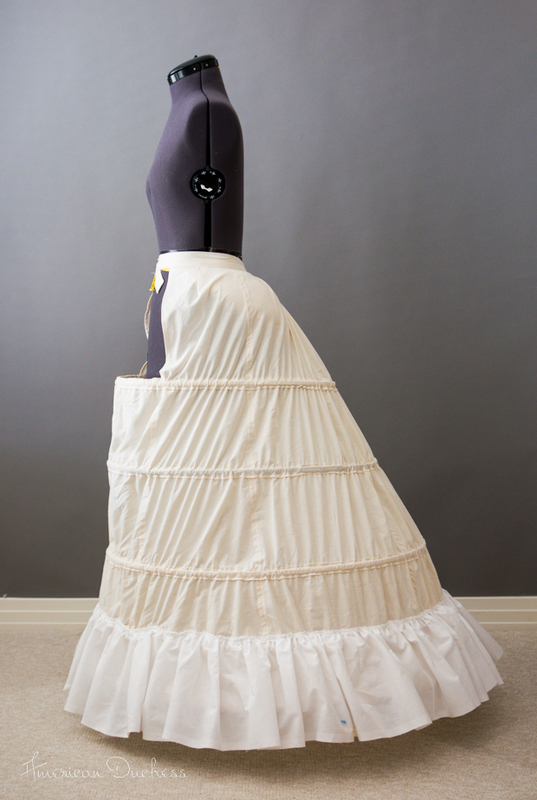 After the pieces were cut out, the fiddling came with doing up the pleats. I had two illustrations to show how the apron was meant to look when complete. I'd say it came out decently close, which is very satisfying indeed! Some of the patterns in these books are very straightforward as far as assembly, and some are not. I chose one I could conceptualize from flat to three-dimensional. Next time I may try a more challenging design. My finished apron. 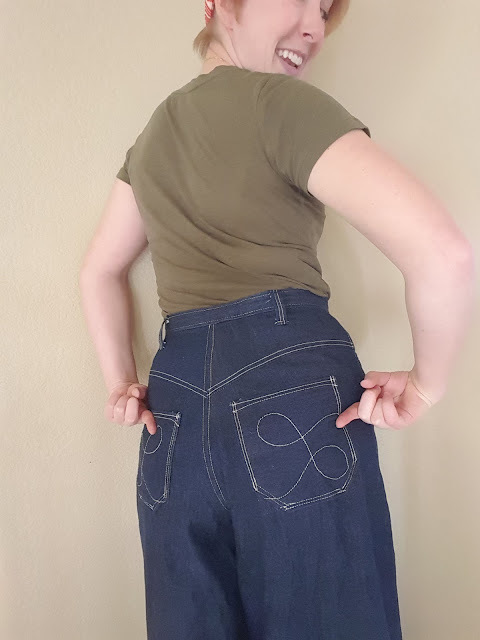 Again, it's not exactly the same, particularly at the back, but it's pretty darn close and I'm very happy with how it turned out. 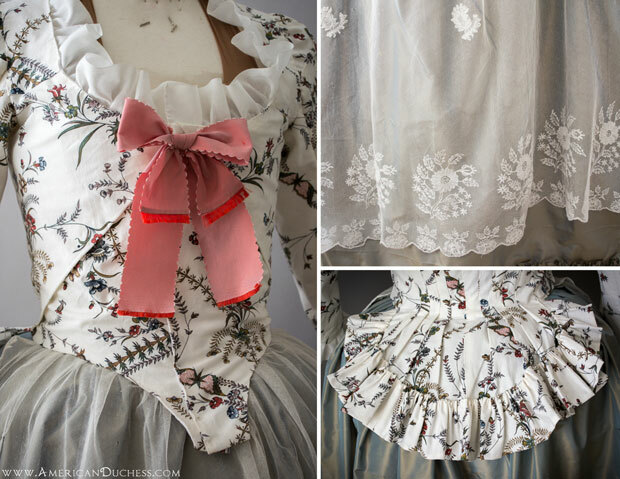 So as not to overwhelm you, I'll leave the bodice construction for the next post. 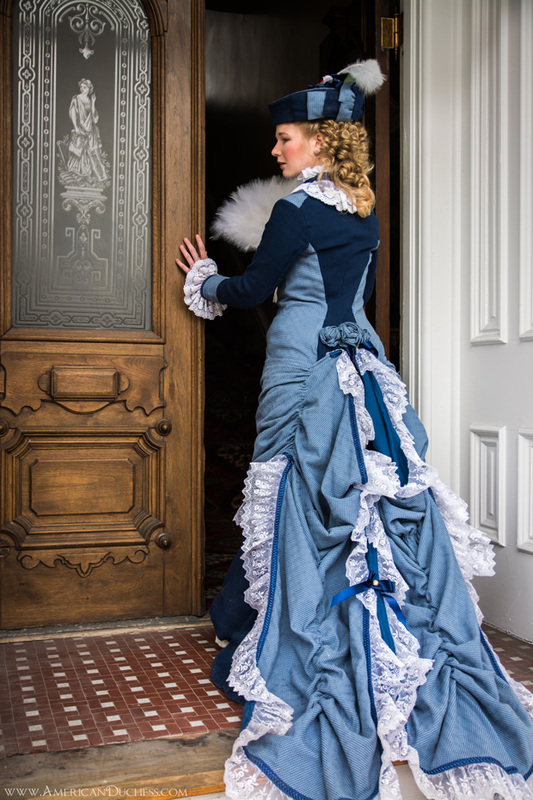 The dress is almost done and I'm to wear it next weekend, so I'll have on-body photos for you soon as well! 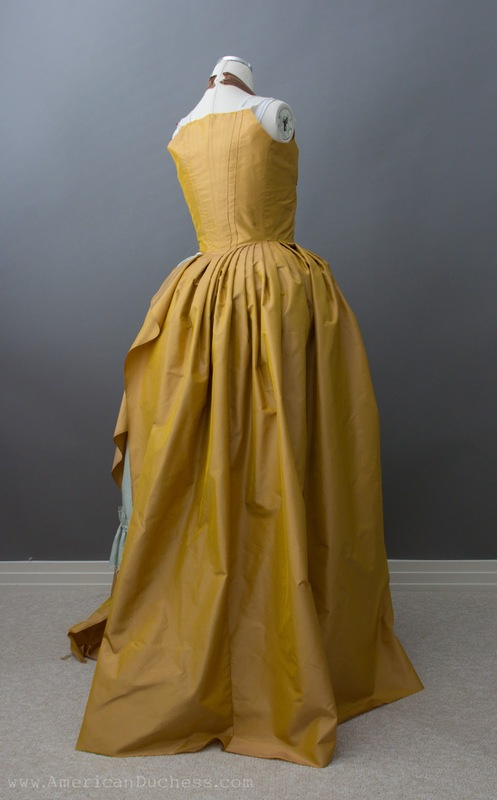 In February I started the Larkin & Smith English Gown pattern in yellow taffeta, but still haven't finished it. Half of my English gown, waiting patiently in a bag to be completed. 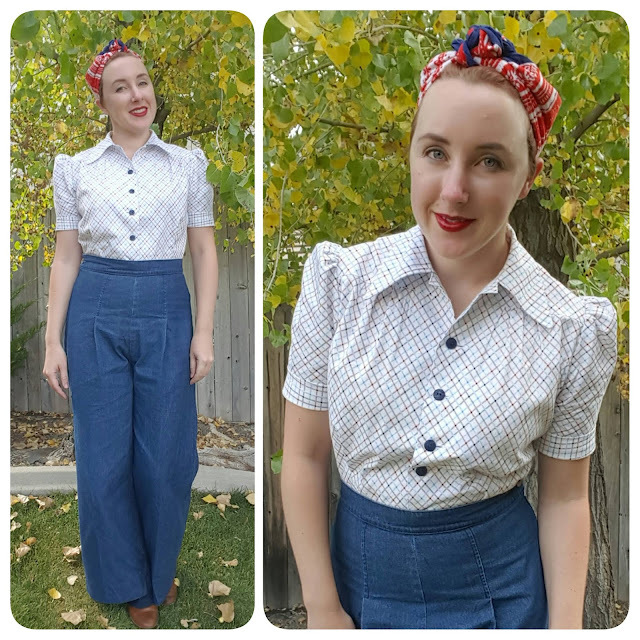 A 1940s rayon blouse made from a compilation of vintage patterns. 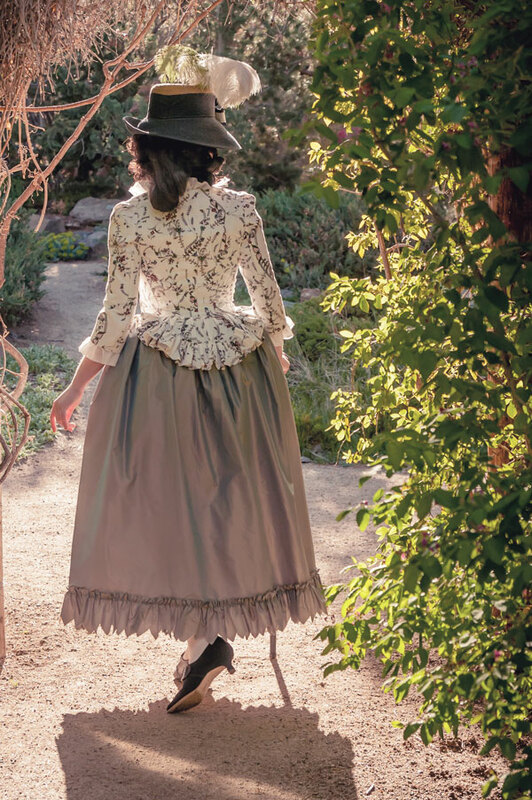 I was thrilled with how this jacket came out, especially with the ruffle on the "tail." 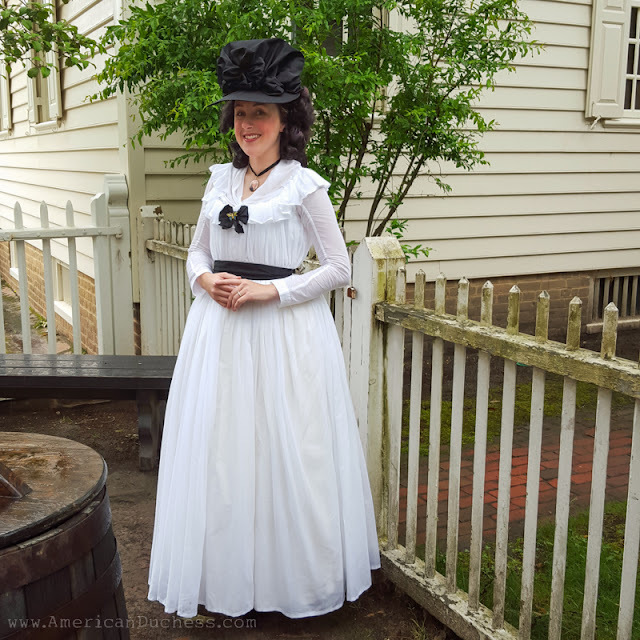 In May, all preparations were being made for a trip to Colonial Williamsburg. 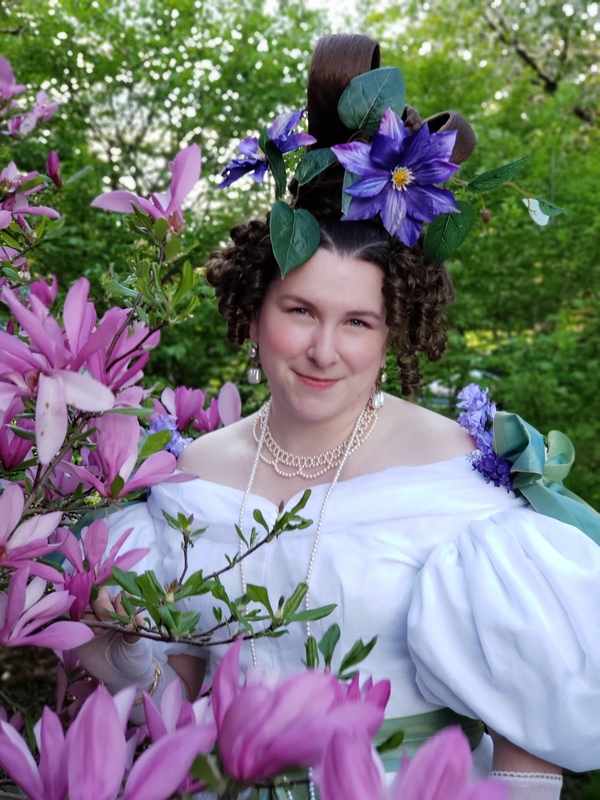 I didn't complete anything, but worked diligently on trimming the 1770s pink Polonaise, and whipping up a quick 1780s Chemise a la Reine. 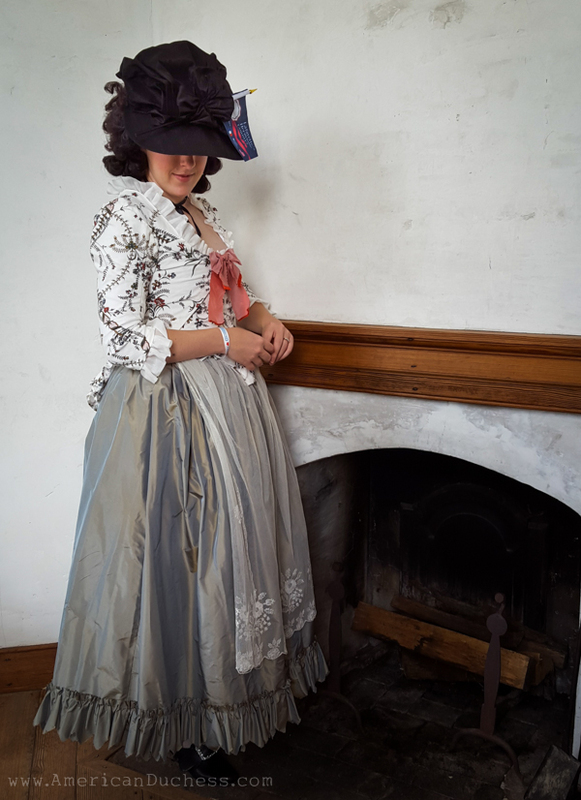 The most comfortable and practical dress I wore in Williamsburg was this 1780s Chemise a la Reine, made from cotton voile, worn with a black silk sash, bow, and bonnet. 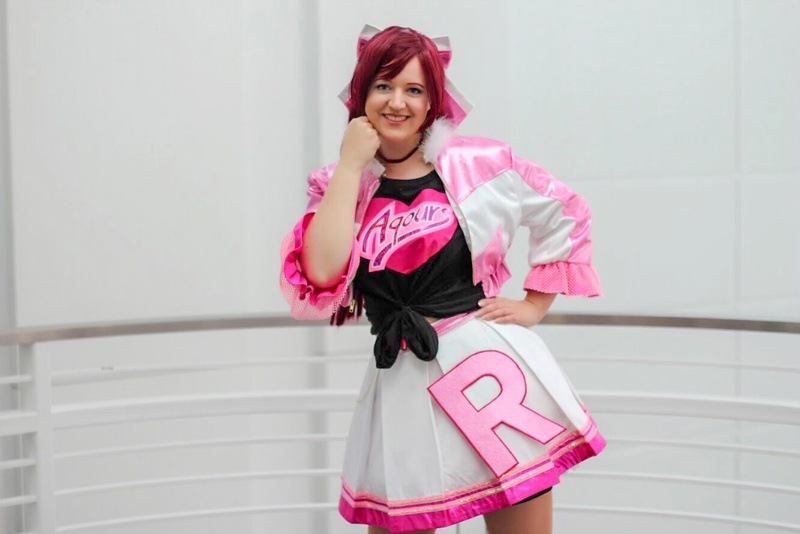 The pink polonaise is my favorite dress to wear just because it's so puffy and pink and silly. 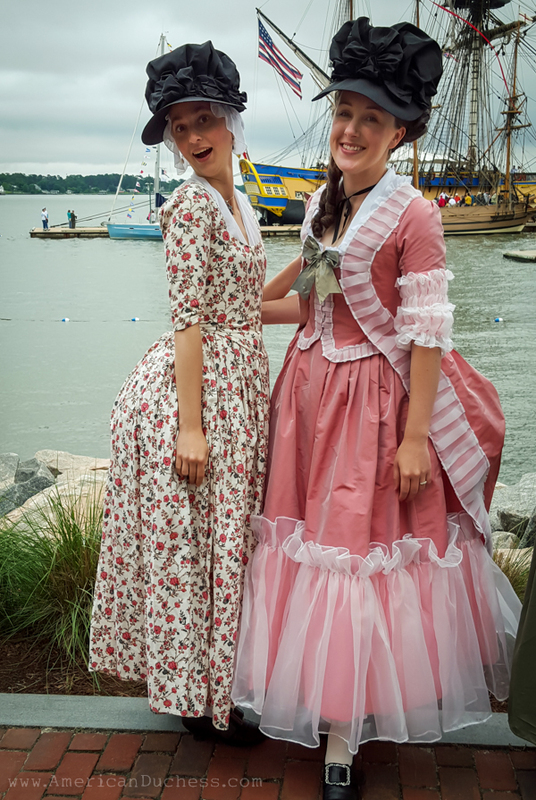 I felt beautifully French the day we visited l'Hermione in Yorktown. This is another outfit I feel very princessy in. It was rainy this day, so we stayed indoors as much as we could. 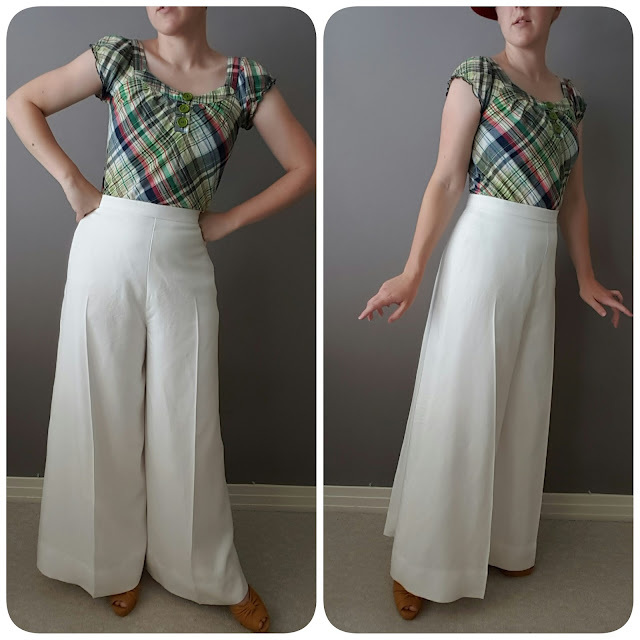 White super wide-legged trousers. 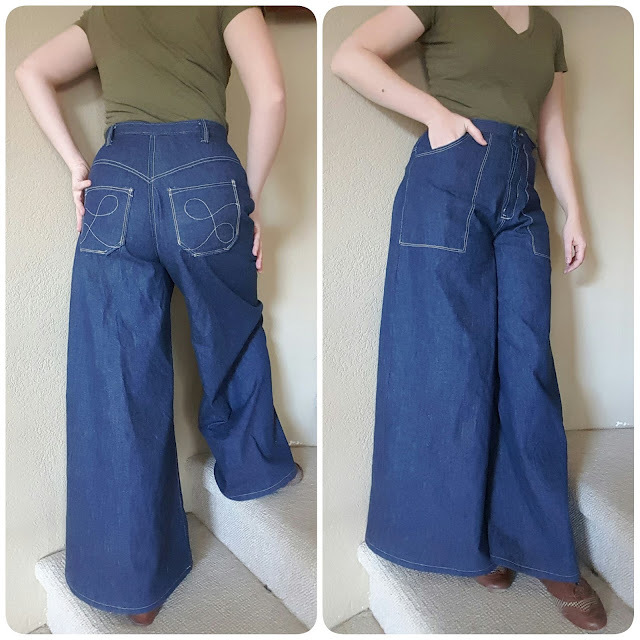 I made these with intent to wear for 1930s, but from a 1970s pattern. 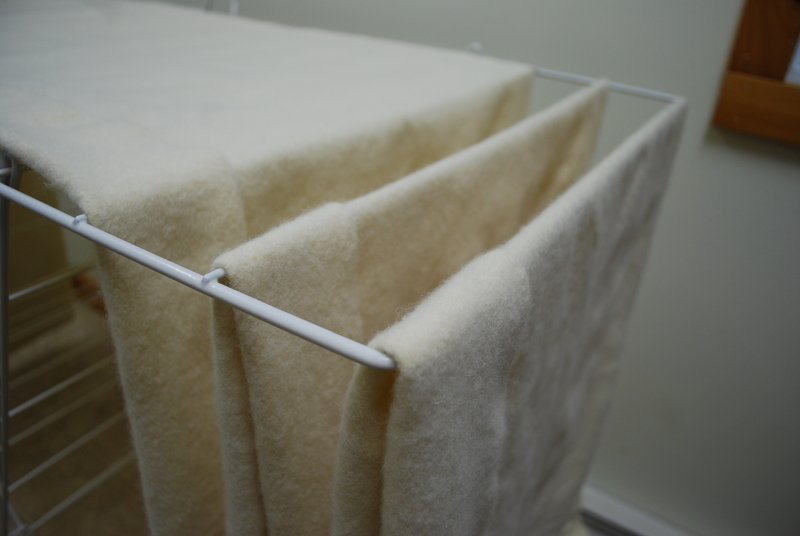 The white fabric was troublesomely see-through, so I had to fully line them in cotton. They're quite heavy. 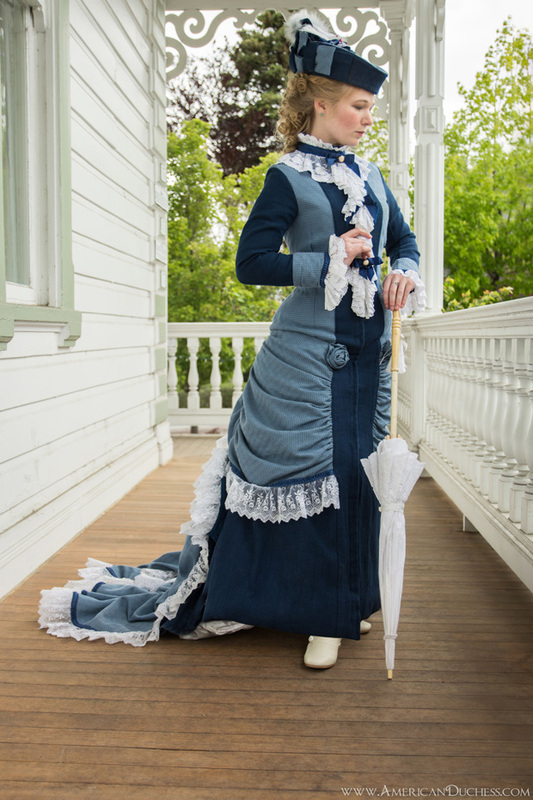 August is Costume College, at least the first weekend. 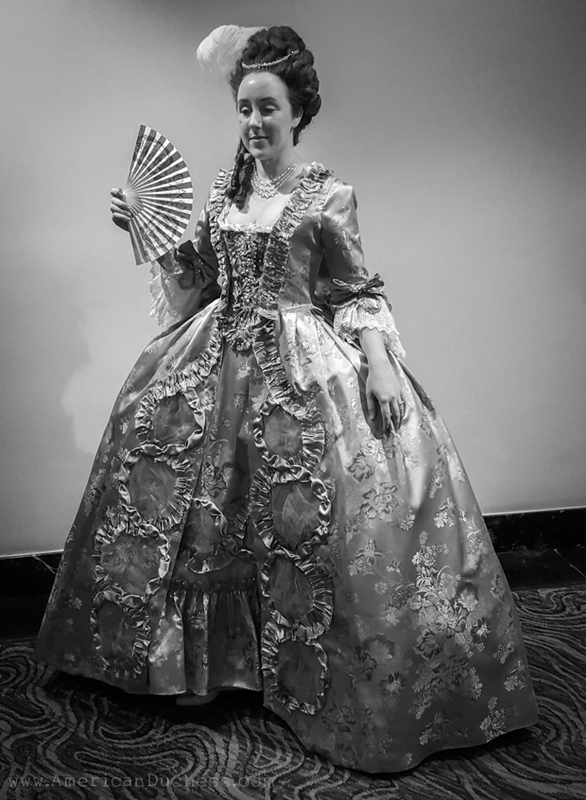 The only new thing I made/wore was The Silver Ghost 1760s Francaise, which volumetrically is absolutely the largest costume I've ever made. It wasn't perfect, but I was really proud of it. The Silver Ghost, my largest achievement. 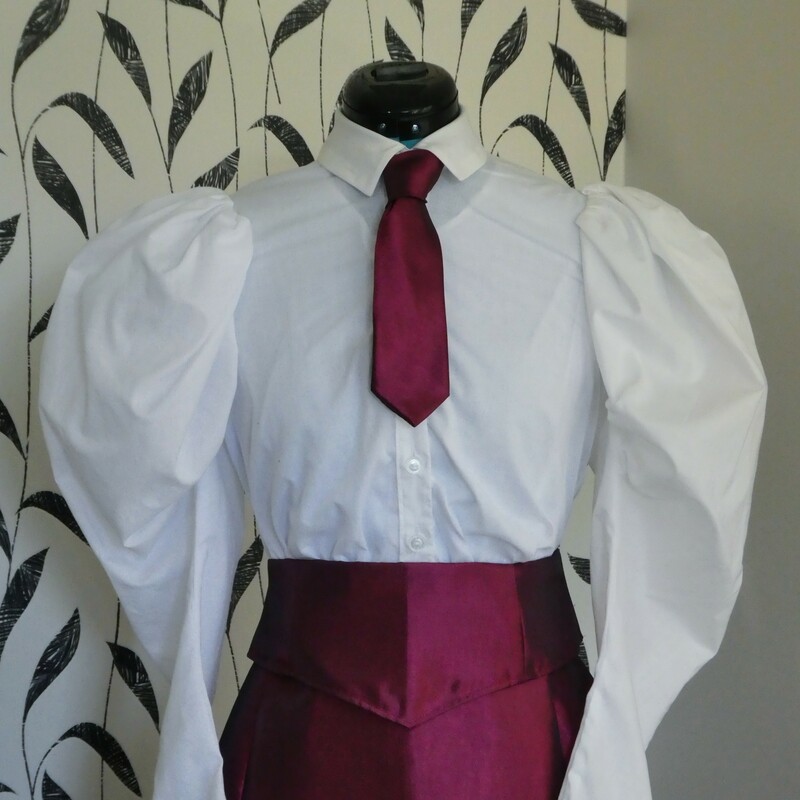 This is the second sacque I've made and so incredibly different from the first. 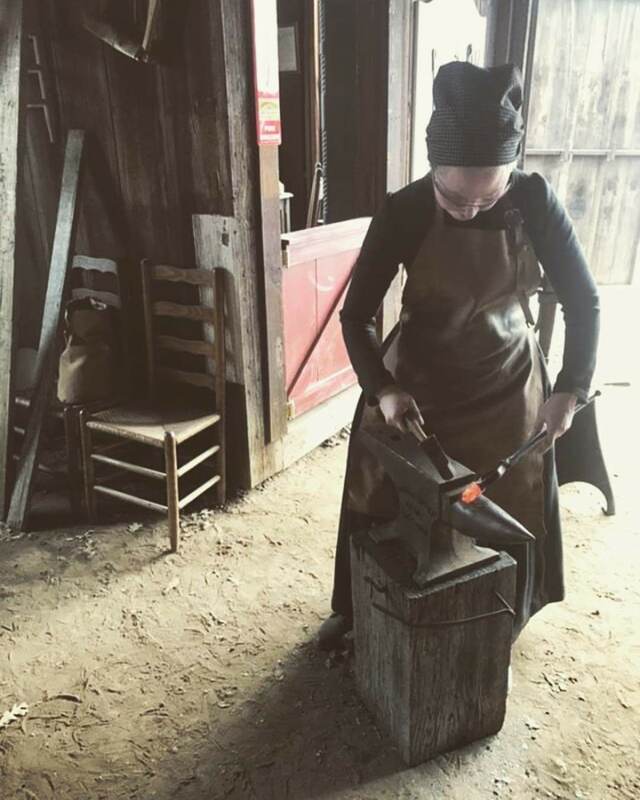 I learned a lot, and on the whole really enjoyed wearing this. Next time? EVEN BIGGER! 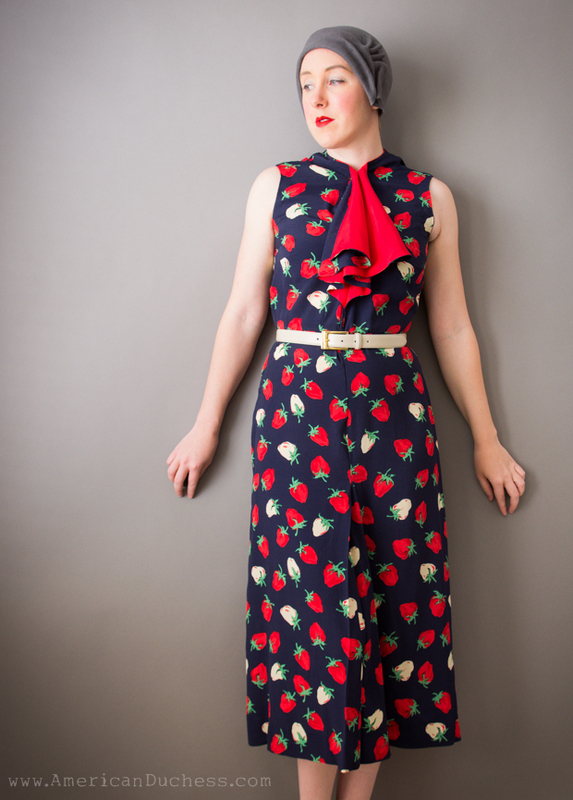 Practical vintage daywear. I got so many compliments on this outfit. It's both comfortable and stylish. 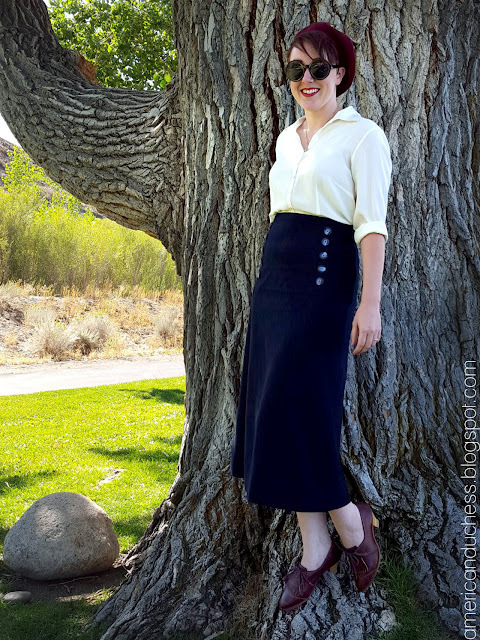 A pretty straight-forward 1930s skirt. 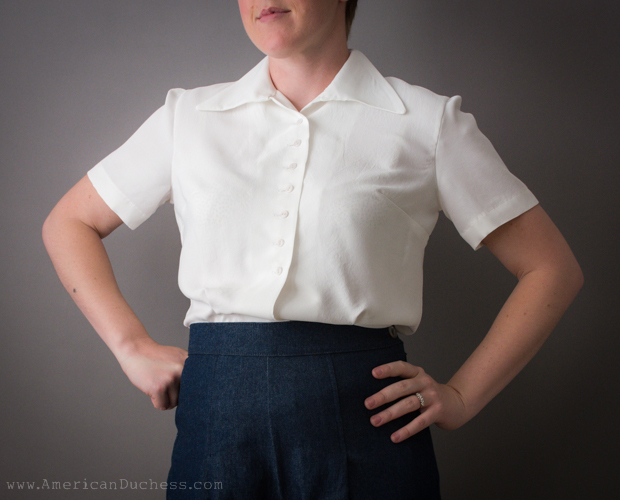 It's another piece that's casual, easy to wear, but gives such a polished look. 1930s/40s Wearing History "Smooth Sailing" blouse. 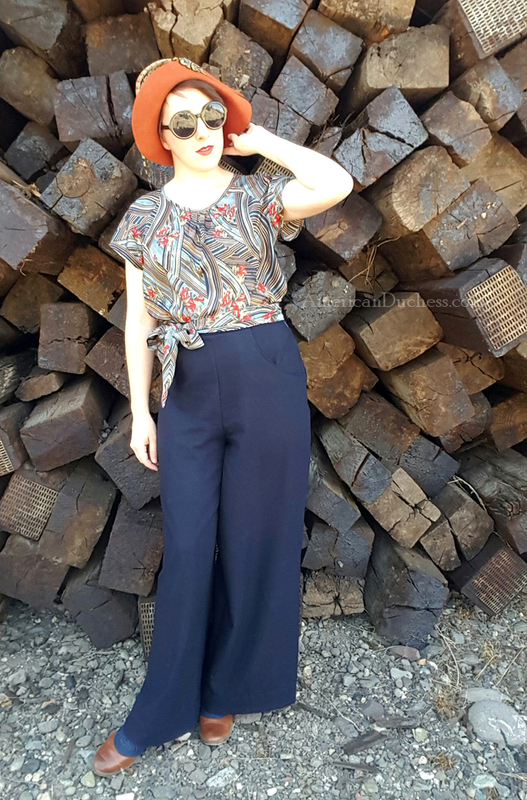 This pattern is fantastic, easy to sew, and looks great. 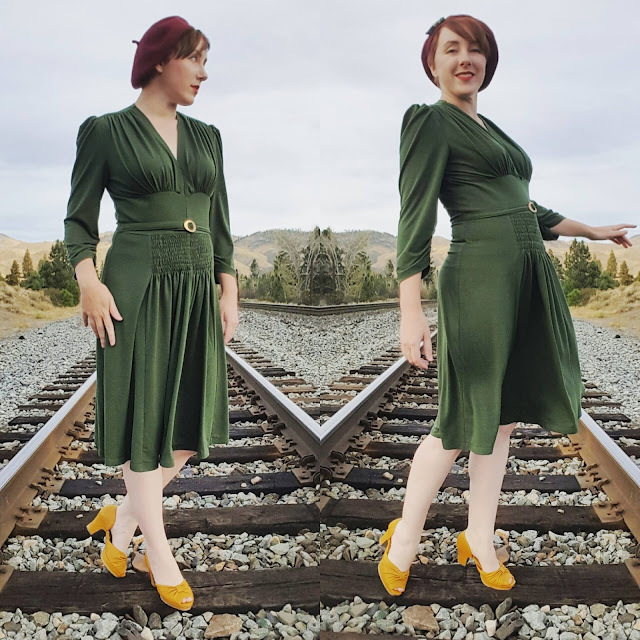 October is the start of busy season in shoe company land, but I managed to grab some time to make a jersey 1940s dress. 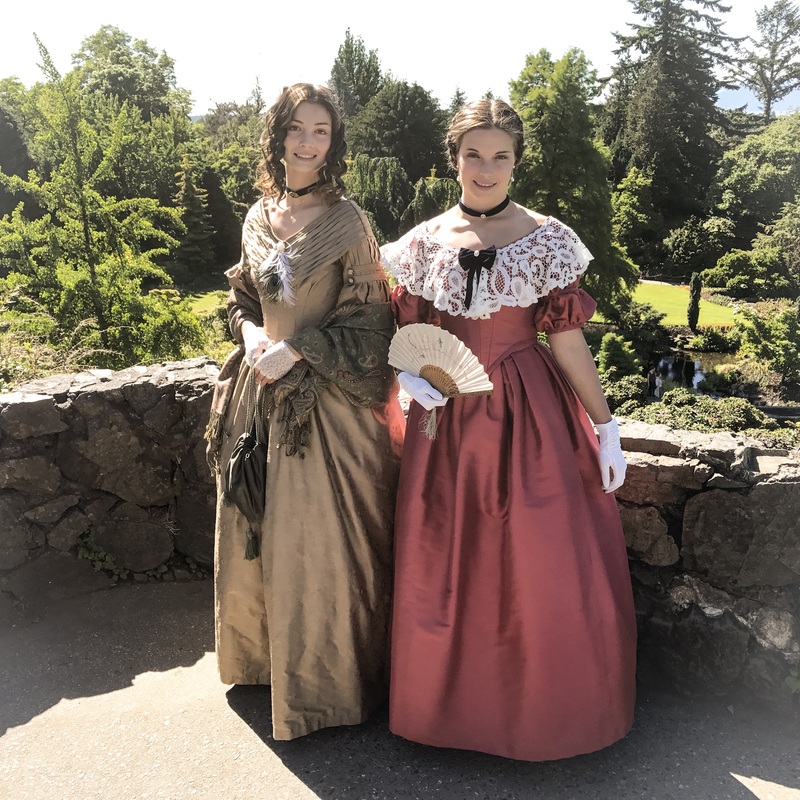 This was the first time I'd worked with jersey and though there was a learning curve (one I'm still on), I am really happy with the way the dress came out, and have worn it many times already. Super comfy! My first jersey knit creation went very well. I love this dress! 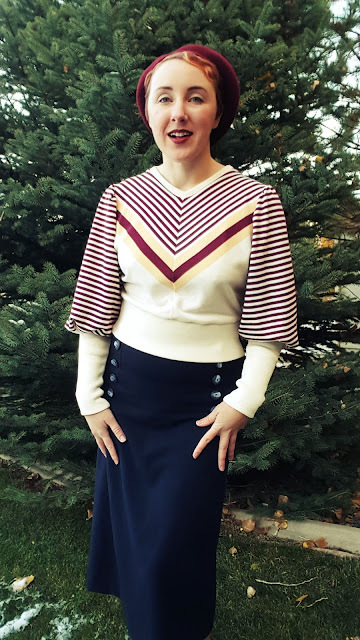 In November I made another knit item, a 1930s sweater with matched chevron stripes and gaultlet sleeves. A challenging piece. I didn't have a pattern, and made a lot of mistakes. The ribbing was difficult, but it all worked out in the end. Then finally to December. 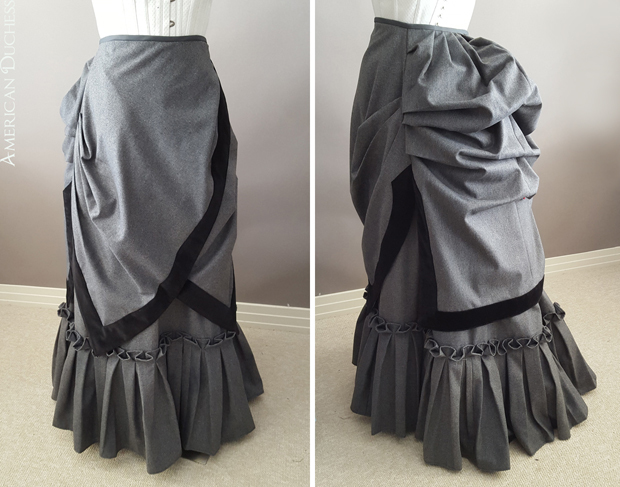 I threw together an 1880s wool skirt, which in the new year is getting a bodice and apron to go with. I also completed a velvet 1930s evening gown, another challenging project that came out quite well. 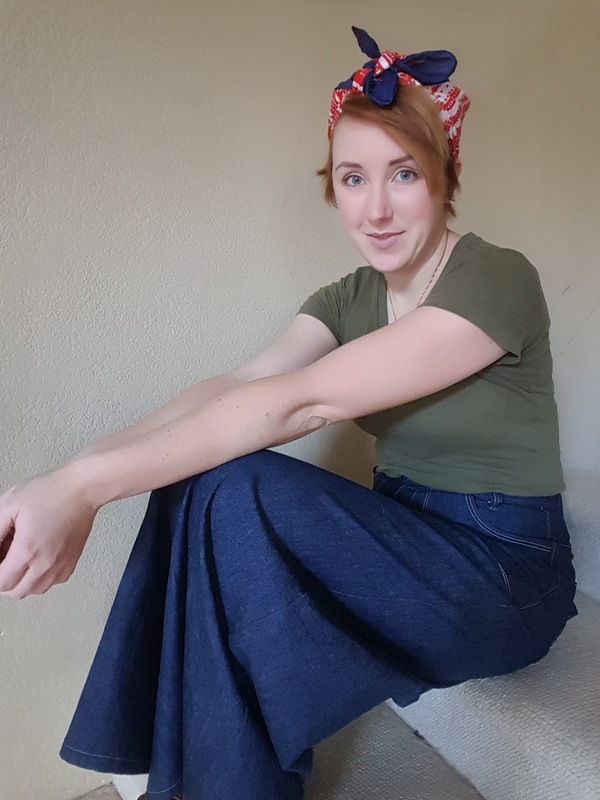 This skirt was originally just a throw-together to go with this jacket (not of my making), but I liked it so much I'm making a matching bodice and apron to create a full ensemble. So here's looking forward to 2016! Already there are projects brewing and bubbling. 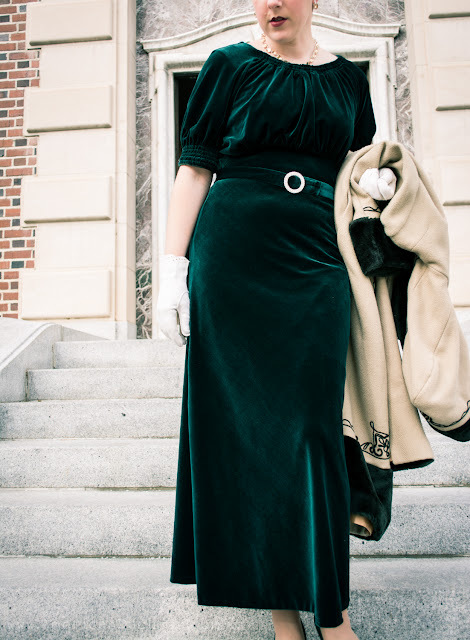 I have a number of things to finish, like that yellow English gown, and I intend to make quite a lot more vintage clothing to wear on an everyday basis. 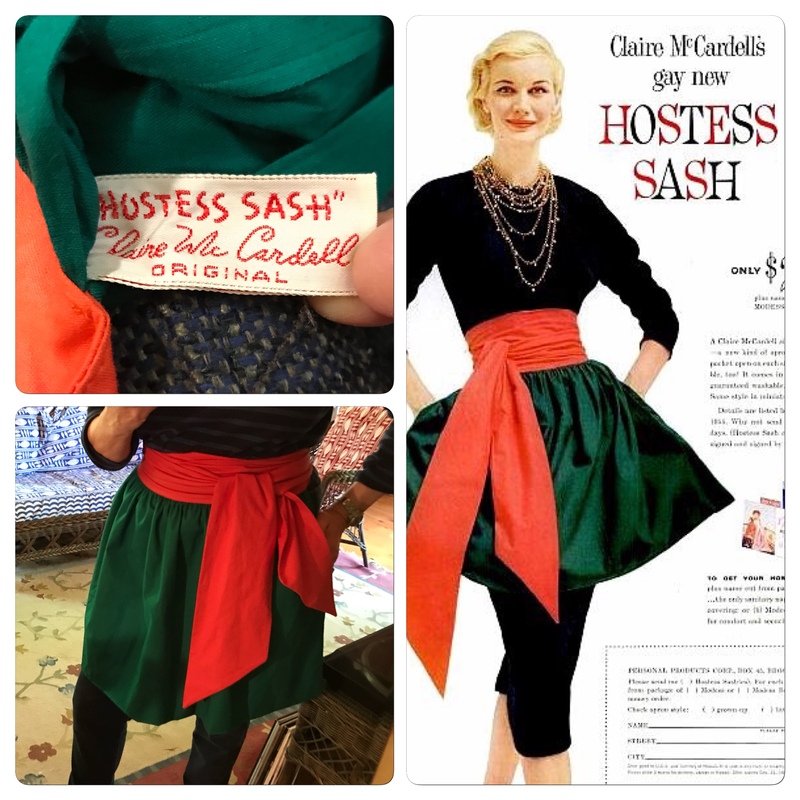 There will no doubt be mad preparation for Costume College (no idea on gala gown, yet! 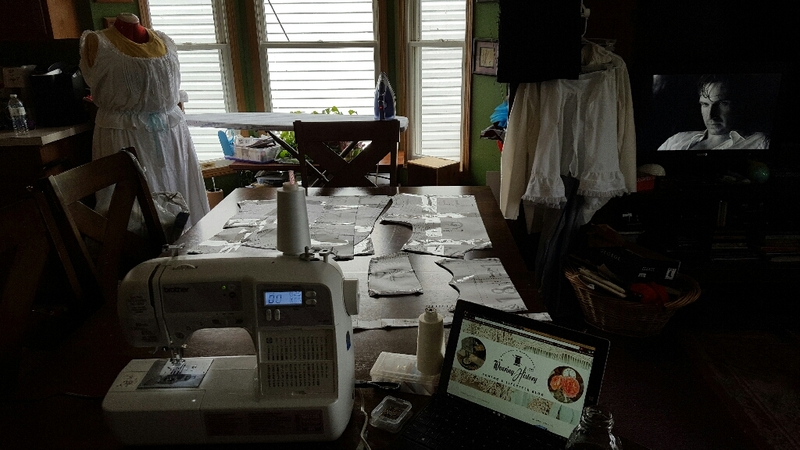 ), but really, who knows where the sewing adventures will lead.